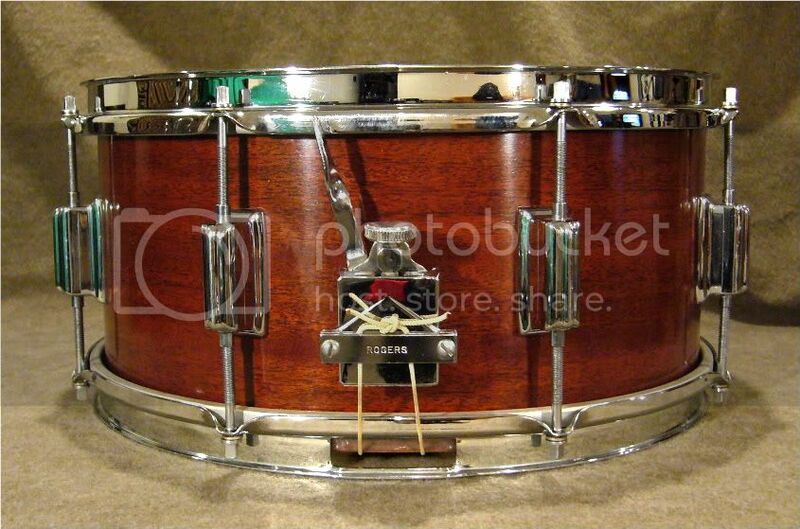 Here's a rare 6.5x14 Rogers Cleveland Tower in mahogany finish. Rogers in a 6.5x14 wood shell 8 lug drum are very few and far between. Pt, you never cease to amaze. Your snare collection, from what I've seen, is incredible. This one is another testament. Thanks folks. It sounds as good as it looks. Something about these deep dish Rogers snares - probably in part due to the 3 ply shells they used on the 6.5" depth drums. The mahogany finish on Rogers can be beautiful. It seems to be a "harder" finish than mahogany on Ludwig, etc. 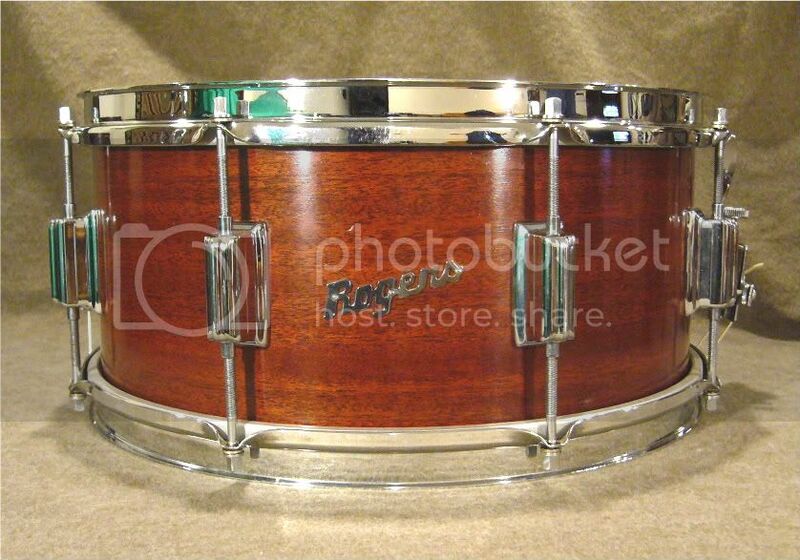 I have a couple of other wood finish Rogers snares that I will post in the future. Simply beautiful. You continue to edify and educate.